Linn Klimax DS 3 review | What Hi-Fi? Sometimes it doesn’t take long to realise a product is special. In this case, just a few minutes with Linn’s range-topping streamer is enough for us to come to that conclusion. Extended listening confirms it. This level of competence should come as no surprise, as Linn is no stranger to music streaming. The original Klimax DS was launched way back in 2007, making it one of the earliest high-end units around. Linn also has the advantage of being involved right through the music chain, from making original recordings to manufacturing source components, speakers and cables. This gives the brand a perspective over music replay that’s impossible to get any other way. While the DS 3 looks just like previous generations of Klimax streamers, much has changed under that immaculately executed aluminium casework. 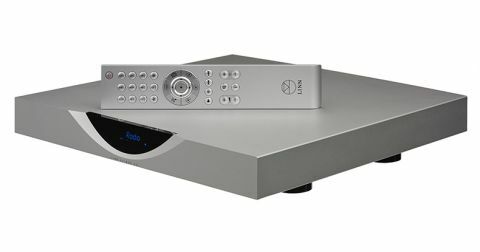 This is the first Linn product to feature the company’s Katalyst digital-to-analogue conversion architecture – the company’s fourth generation of DAC design. Katalyst brings multiple isolated power supplies, a high-precision master clock, careful optimisation of the data before conversion and a new low-distortion output driver stage. And we’re sure the new circuit plays a significant part in the terrific sound we hear. That solid casework must help too. We can’t help but be impressed by the build quality and superb machining. Linn’s heritage is all about top-class engineering – the likes of the legendary LP12 turntable – so that’s no surprise. The DS is a small unit, about two-thirds the size of a normal piece of kit. Each edge on the casework is as crisp as you like, and the ultra-clean, control-free front-panel design still manages to look futuristic to our eyes – that’s despite the Klimax’s external design being a decade old. Look around the back and you’ll find both balanced and single-ended analogue outputs and an ethernet port. There are also connections for Linn’s proprietary Exakt link – a digital feed to the company’s top-end active speakers. Unusually for a product such as this, the DS 3 doesn’t have digital inputs. To get those you have to spend another £3100 for the Klimax DSM 3. Oddly, even with the DSM, there’s no USB option. File compatibility covers all the usual PCM types – including MP3, FLAC, WAV and even ALAC – up to a relatively modest limit of 24-bit/192kHz, but there’s no DSD. While DSD files are arguably something of a niche interest we’re still surprised the Linn can’t play them. The 24-bit/192kHz resolution limit bothers us less, because there’s very little material available beyond that. A music streamer invariably lives or dies by the quality of its control app, and on the DS 3 Linn’s long-used Kinsky app has now given way to something called Kazoo. This new app is clearly a step forward in terms of usability and response. Linn also supplies a standard remote handset, which is fine for basic functions such as play or changing inputs but, as with all such things, it feels cumbersome for extensive music searches. Delve into the Klimax DS 3 functions and you’ll come across Tidal and Qobuz built in, and something called Space Optimisation. While room equalisation is nothing new, particularly in AV kit, finding such functionality in high-end stereo gear is unusual. And the Linn offers an interesting twist – you can place the speakers where you want, and it will attempt to make them sound as though they’re in the ideal position. It’s a bold aim and, for the most part, works well. The process takes a bit of time but the effort pays off, particularly if your speakers’ performance is notably compromised by their placement. Once up and running, this is a simple product to use. Kazoo connects quickly and it doesn’t take long to load album art from our NAS unit. We start with Leonard Cohen’s You Want It Darker, sit back and enjoy. The Linn captures the menacing tone of the piece brilliantly, balancing Cohen’s gravelly vocals well against the intense but low-key instrumental backdrop. There’s plenty of subtlety here alongside a sense of impending doom that’s all the more poignant given Cohen’s demise just a few weeks after the album was released. The level of clarity is sky-high, the Linn delivering the leading and trailing edges of notes with surgical precision. So clean and clear is the presentation that initially it’s easy to wonder if anything is missing. Maybe a touch of natural warmth? Longer listening suggests not. Compared with our current reference streamer, the similarly priced Naim NDS/555PS, the Klimax does sound a touch less substantial, but the trade off is a level of subtlety, detail resolution and responsiveness that the Naim can’t match. The DS 3 is without doubt the most transparent and insightful music streamer we’ve had in our test rooms. Moving onto something more upbeat (not to mention cheerful) in the form of Pon De Floor by Major Lazer and the Klimax responds with enthusiasm. There’s plenty of bite coupled to a surefooted way with rhythms that make the song great fun to listen to. Bass notes hit hard and fast, yet subtle instrumental textures are also revealed. The same goes for vocals. While there’s plenty of energy, the Klimax also demonstrates a level of finesse most high-end alternatives barely hint at. Wondering if the Linn has what it takes with larger-scale music, we try a range of demanding recordings from Hans Zimmer’s Inception and Interstellar OSTs to Stravinsky’s The Rite Of Spring. We come away deeply impressed. This streamer’s stereo imaging is expansive and precise, and the soundstage is nicely layered in every dimension. There’s a pleasing stability here too, so the presentation stays organised even during demanding sections. All in all this is an excellent performance that beautifully balances convincing tonality with wild dynamics and crisp rhythms. Listening to Tidal shows the expected drops in outright performance but, of course, brings in a wealth of new material to enjoy. The Klimax DS 3 remains a fun and entertaining experience, and the integration of the streaming service is done well. Linn hasn’t been shy about charging a massive amount for the Klimax DS 3. Yet look at the build and engineering and that price starts to make more sense. This streamer’s sound quality sets it apart from just about every rival we’ve heard, and makes this a must-listen product for anyone looking for the finest-sounding digital source around.